During this 21-day Yoga Immersion/Teacher Training, we will explore the wild beauty and power of nature, all the while exploring of your equally vibrant inner landscape. 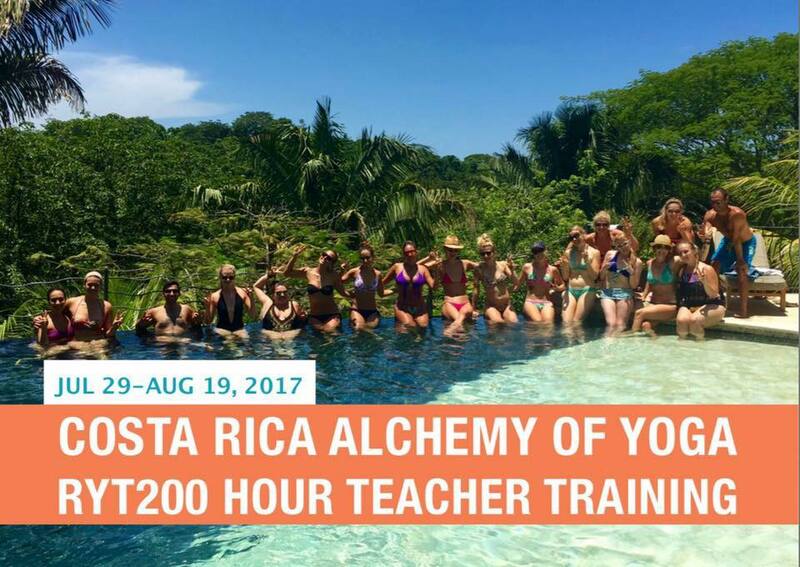 Going away on this yoga teacher training to beautiful Costa Rica at world-renowned BLUE SPIRIT RETREAT CENTER in Nosara on the Nicoya peninsula provides you an opportunity to share, have fun and connect with other like-minded people. All the while becoming a certified Yoga Teacher with RTY200 certification recognized by Yoga Alliance through the Alchemy Yoga Teacher Training School. I can’t wait to introduce you to the culture, food, easy vibe and beauty that are natural to Costa Rica. Don’t hesitate to ask me questions, I want to make this a truly memorable experience! Join me to feel more empowered to create a life you love! And leave inspired to do the same for others! 2. RYT500 Yoga Alliance Certification program designed for those who are interested in teaching.